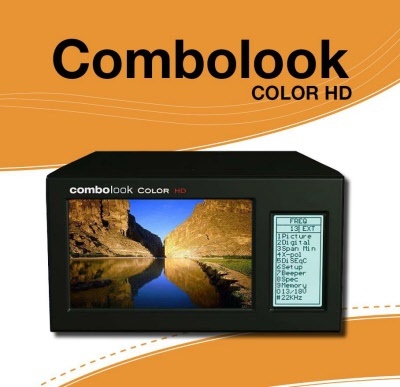 The COMBOLOOK COLOUR HD S2/T2/C is able to work with the return-path signals in Cable-TV networks (5-65 MHz) according to the EN50083 standard. The TV-part presents the full range spectrum of 2-900 MHz which can be zoomed into smaller parts (min 13 MHz-span). The TV-part is very sensitive and accurate. It presents signals ±1dB (at +20° C). 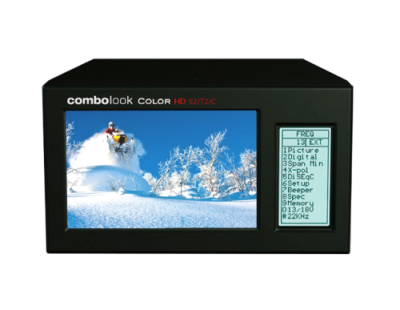 There is a built in DVB-T receiver showing picture and BER + S/N-values. The SAT-part also has very high resolution and accuracy. It presents measured data ±1½ dB (at 20° C). The Sat-TV spectrum can be expanded (zoom in) for correct adjustment of the polarisation (“cross-polarisation”). The SAT-part presents, under one of the sub menus, digital information like BER (bit error rate), constellation-diagram (QPSK and 8PSK) and S/N (signal/noise ratio). The NIT function of the SAT-part can identify the various TV-satellites by reading out the NIT in the Bitstream (NIT = Network Information Table). The NIT also contains info about the transponders TV and Radio-channels. The unit has a built in DVB-receiver which can store up to 100 Free To Air DVB-S channels in a favourite channel-list. 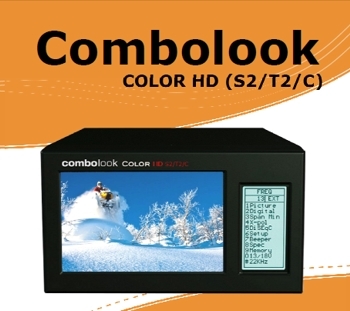 The COMBOLOOK COLOR HD HD S2/T2/C can handle a lot of memory-positions and both spectrum-pictures and certain frequencies can be saved (both analog and digital transponders). The power of the instrument is supplied by a built in and rechargeable battery. 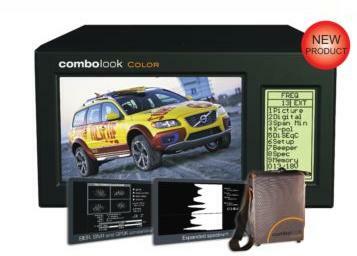 The instrument is provided with a 5” color 16:9 LCD-monitor. Menus/help-displays are shown on the LCD screen (64x128) beside the monitor.